The SMART structural calculations Masonry design software. EdiLus-Masonry is the masonry design software solution for calculating new and existing masonry structures with a SMART BIM input, much easier to use while being precise and rigorous. The software contains its own integrated FEM solver that provides a unified experience in structural design. In a single software you can go through input, calculation and analysis, introduce changes and lauch printouts (diagrams, schedules and reports) in a simple and integrated manner. 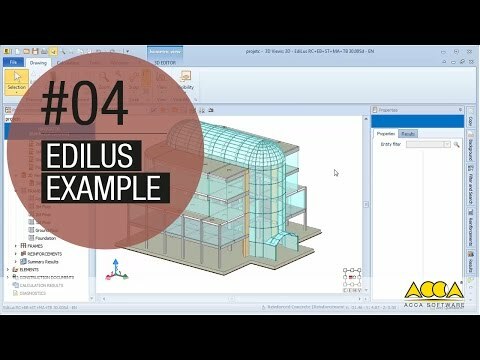 Each object can be displayed with displacements, tensional stresses in every point, etc… In addition to the detailed calculation results in numerical form, EdiLus provides various views that allow you to understand how the structure works at a glance. New masonry structures and reinforcement interventions (edge beams, FRP, patches, reveals, wire meshes, grout, etc.) are all computed automatically and dynamically. Thanks to the interaction between Edificius and EdiLus it is also possible to make Architecture and Structural engineering interact by seamlessly designing and calculating all structural elements.